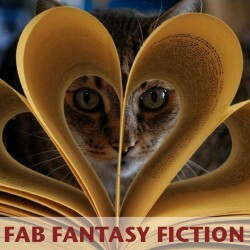 Focuses on all things romance - contemporary, historical, paranormal, and romantic suspense. Reviews, interviews, guest posts, spotlights, giveaways. Fun weekly features! Be prepared to stay up all night when you're reading one of Joni Hahn's D.I.R.E. Agency series. Packed with suspense, alpha heroes, and strong sassy, intelligent, and independent heroines, these romances deliver on every front. There's a touch of paranormal with the enhanced-heroes and time travel; plenty of thrills; and, above all, romance. 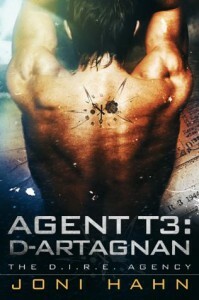 Each of the three books in the series profiles a different agent, in book three, Agent T3: d'Artagnan provides needed understanding of Cass' twin brother Dar. (Cass is the heroine of book two) i don't want to give away any spoilers for the earlier books in the series, but just let me tell you, time travel factors significantly into this plot. If you're a fan of Doctor Who like I am, it's not hard to suspend disbelief and imagine time travel is possible. (Wouldn't you like it to be?) Hahn's grasp of the possibilities and scientific probabilities make this fun. As do some villains imported from an earlier time. The romance, well, it is quite beautiful and there were moments when I was wiping some silent tears from my face as I read Dar and Jocelyn's story. Book three's story itself is incredibly dynamic. I couldn't stop myself from turning the pages and began to race to the end as it is truly compelling (and addicting). Hahn manages to tie up quite a few loose ends with this book, but it's only the conclusion of the first trilogy. She assures the readers that the series will continue. With two strong alpha males who were introduced in book two, I have a feeling that they well may feature into future D.I.R.E Agency stories. In conclusion, I'd recommend that you add Joni Hahn's D.I.R.E. Agency series to your bookshelf. I'm adding it my permanent one as this is a series I anticipate going back to reread in the future. And yes, I still want a date like Tristan gave Rachel - hopping city to city across the globe in one magical evening! Joni Hahn's D.I.R.E. Agency series is a MEGA five star must-read. Be prepared to stay up all night to finish it! I received a copy of this book from the author for use in this review.